With 300,000 members and 400 employees, American Federation of Government Employees (AFGE) is the Federal government and DC government’s labor union. AFGE provides comprehensive legal, legislative, technical and educational services for members. As IT director at AFGE, Taylor Higley is charged not only with developing a strong culture and team of progressive, service-centric IT professionals, he also has to ensure he’s got the right systems, software, and solutions in place. That’s no easy feat, given the way technologies change on a daily basis. We sat down with Taylor to understand AFGE’s need for a more agile and scalable IT infrastructure to best serve its users. What led AFGE to look for an identity solution? As an IT team, we spent more time trying to maintain our on-prem AD FS solution than we previously spent resetting passwords and doing everything else. Nobody likes 3:00 A.M. wake-up calls. The thing that took us off AD FS was that our IT people had a good incentive to find a better way. We started to look for a partner that we could hand off a lot of the heavy lifting with identity to, and eventually that led us to Okta. Tell us about one of the core integrations you have with Okta. Microsoft Office 365 is one of AFGE’s core business apps, and integrating it with Okta not only made the sign-on process easier, it also gave a good focal point to then build out all the other applications and integrations into Okta. We did think about using Microsoft to connect to Office 365. Ultimately, that decision came down to the people and support. Has Okta enabled AFGE to better serve its members? If AFGE were to get rid of Okta tomorrow, I’d have a lot of unhappy people. For every minute that we don't have to spend doing a password reset, we can put those resources towards things that the members will benefit from. Without a good identity layer like Okta, we couldn’t be the cloud-centric, forward-thinking organization we've become. How does Okta play a role in improving security? With all of that power and convenience (of a unified experience) comes the need to wrap it in a tighter security bubble. We’ve appreciated the open approach to integration so we can use Duo security with Okta and make those best choices and integrations. Since implementing Okta, AFGE has seen $40K in annual IT savings by sunsetting AD FS and two servers. Password-reset requests have fallen by 80 percent, and they’ve reduced administrative burden by eliminating 100 percent of connector maintenance. To learn more about how AFGE is handling their identity needs, check out their customer journey and watch our interview with Taylor Higley in the video below. 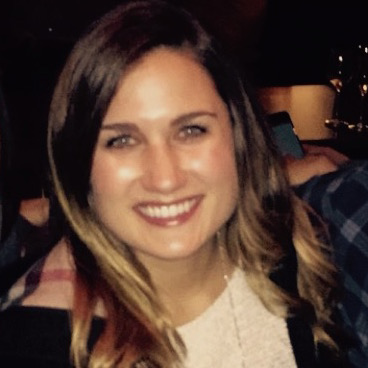 As part of the customer marketing team at Okta, Morgan runs the customer reference program to share the impact Okta makes at our customers’ organizations. She’s always eager to learn how Okta customers are leveraging cloud technologies to drive change and find different opportunities to promote their success. Originally from Michigan, Morgan now lives in San Francisco. In her free time, she enjoys traveling, trying new restaurants and running.